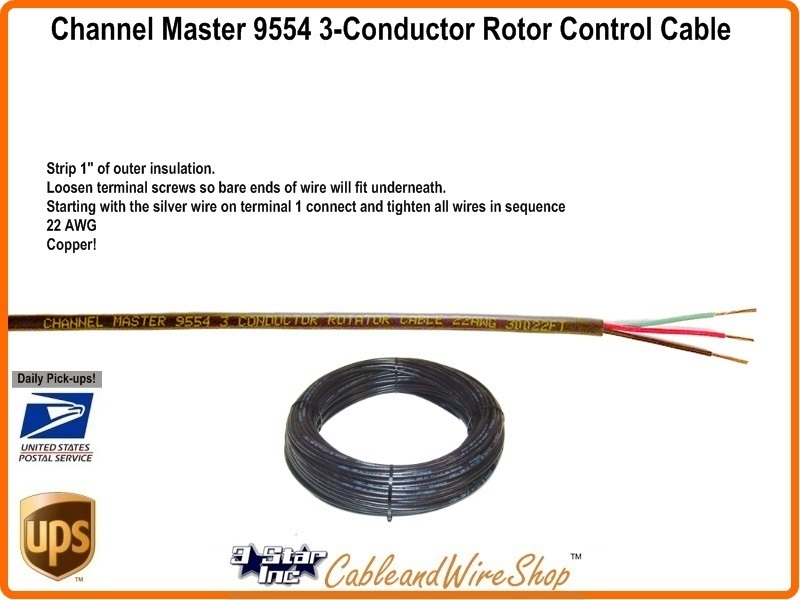 Is a 3 Conductor, 22AWG for Connection to the Antenna Rotor Drive Unit. Strip 1" of outer insulation. Loosen terminal screws so bare ends of wire will fit underneath. Starting with the silver wire on terminal 1 connect and tighten all wires in sequence.